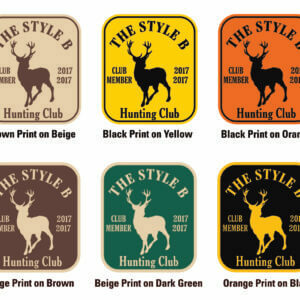 The Style A Hunting Club decal is available in two layouts, the “Old Timey” and the “Big Buck”. 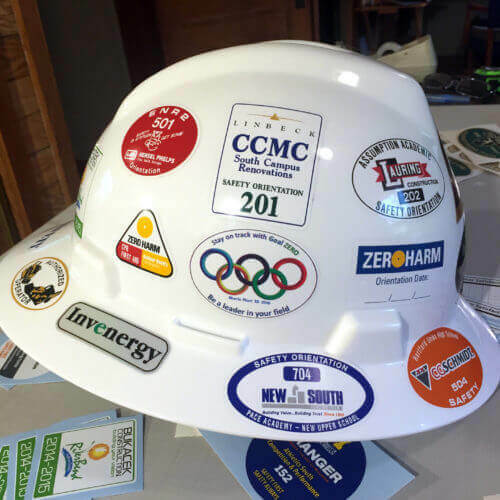 We just need the CLUB NAME (all CAPS work best for that) if that’s all you want but you can fill in the additional optional infomation for Club Year Dates, City or Location, or any other information that you might want on the left or right sides of the stickers. 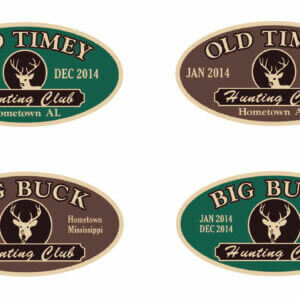 There is room on the “Old Timey” for text at the bottom, but the “Big Buck” has limited room at the bottom. 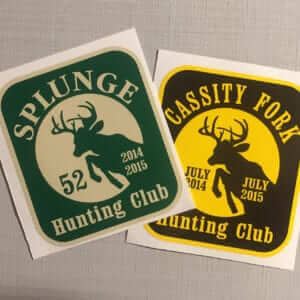 Apply these stickers to your Truck window, bumper, on your ATV or any smooth non-porous surface. 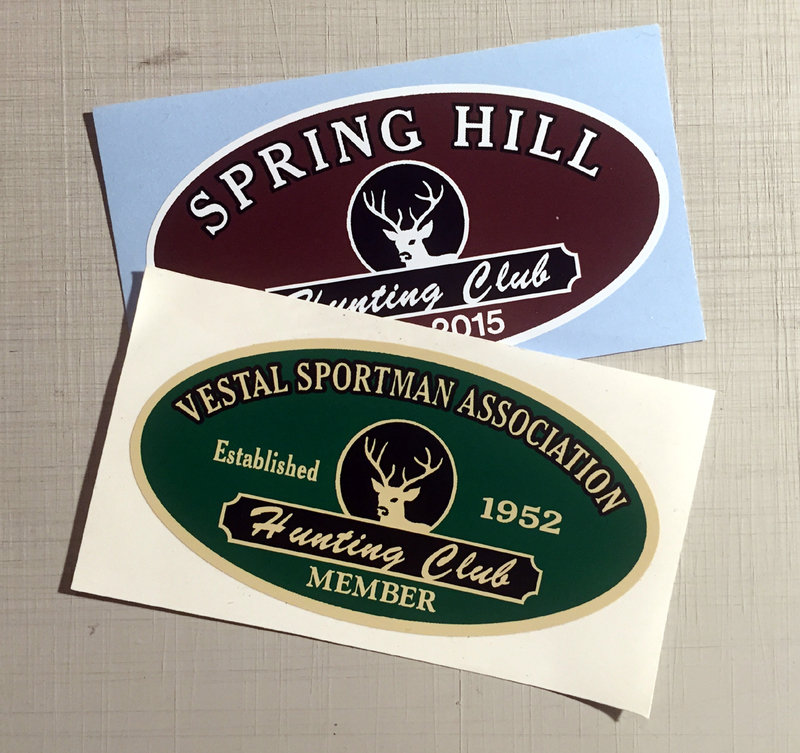 These hunting club stickers are great for keeping up with your club members vehicles at the hunting club. We can even number them if you need to keep up with a large number of members, just send us and email for a quote. The Style A Oval H, 3-5 year exterior grade ink and 6 year vinyl. 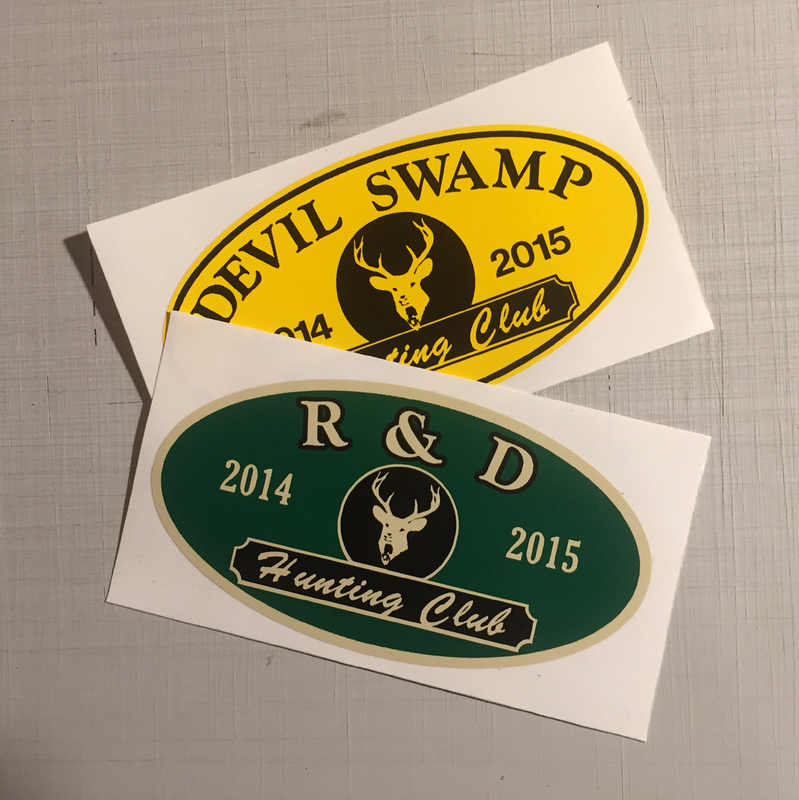 These hunting club stickers are great for keeping up with your club members vehicles at the hunting club. We can even number them if you need to keep up with a large number of members, just send us and email for a quote.